They’re small. They’re square. They’re everywhere. Join the 2D barcode revolution and offer camera- and smart-phone visitors promotions, downloads, contact info, vouchers, geographical location, web links, bookmarks, or pretty much anything you can dream up. All in a small square of black-and-white binary data. Download the plugin and let me know how it works for you. All available versions and changes are listed here. Each entry indexes the relevant post(s) in the thread to learn about the features. Wow, Stef. I have a client who’s looking for excuses to use these. Love that you can adjust the background color & transparency…just brainstorming here but you could quickly generate image overlay previews for forehead tattoos, maybe best to wait until 2012 for that tho. QR Codes were trumpeted as the “next big thing” in Australia but take-up has been half-hearted to say the least. We’ve put them on client’s promotional material but, other than Japanese tourists, I don’t think the general antipodean population knows what they are. Is this format currently possible with smd_qr_code? I use these all the time to send a website I’m at on my desktop to my Android phone (when I’m not using Chrome and the Chrome to Phone plugin). Will browsers cache the google created barcode image or request it every time? 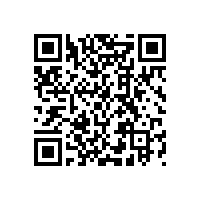 Is this format [VCARD] currently possible with smd_qr_code? Not sure if browsers will cache the image. Certainly the plugin doesn’t offer cacheing at the moment. Perhaps it should. Let me look into it, thanks for the idea. Apparently Google is giving up on QR Codes. I kind of like them, but they’ve been under used and not widely understood. As long as their business decision to not support them in their Places accounts doesn’t mean they’ll ultimately remove the QR code generating ability from the Charts API, we’re in the clear. Very odd that they’d ditch them. Just because they can’t find a way to leverage them (believe me, we’ve tried to change their outlook on location-based advertising but they’re not interested in owning the market so we’ve gone elsewhere) hopefully won’t preclude others from finding a use for them. There are so many places that could make use of QR codes with the rise in smart phones, I’m surprised to not see them about the place more often. Print advertising could surely benefit from them. Anyway, nice work with the plugin. It looks to me like the image is cachable for 24 hours.